THE BAND’S VISIT is presented by Dallas Summer Musicals February 4 -16, 2020 at the Winspear Opera House. 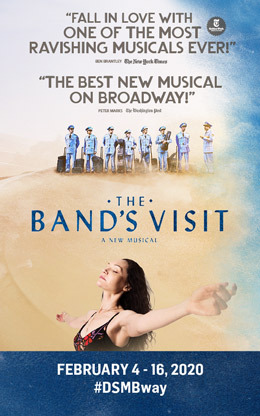 The Band’s Visit is the winner of 10 Tony Awards, including Best Musical, making it one of the most Tony-winning musicals in history. And now it’s also a Grammy Award® winner for Best Musical Theater Album.